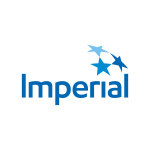 CALGARY, Alberta–(BUSINESS WIRE)–Rich Kruger, chairman, president and chief executive officer, and Dave Hughes, investor relations manager, Imperial Oil Limited, will host a 2018 Third Quarter Earnings Call on Friday, November 2 following the company’s third quarter earnings release. The event begins at 9 a.m. MDT and will be accessible by webcast. During the call, Mr. Kruger will offer brief remarks prior to taking questions from Imperial’s covering analysts. Please click here to register for the live webcast. The webcast will be available for one year on the company’s website at www.imperialoil.ca/en-ca/company/investors.